Did you know 75% of your pet’s kidney function is gone before you see signs of serious illness? That means your pet may have kidney disease and you may not even know it. This month we want to focus on your pet’s kidney and urinary tract health because this is an area of veterinary medicine (and human medicine too) where preventive healthcare can make a big difference! A routine blood and urine test can clue us into the status of your pet’s kidney and urinary system. It’s that simple. 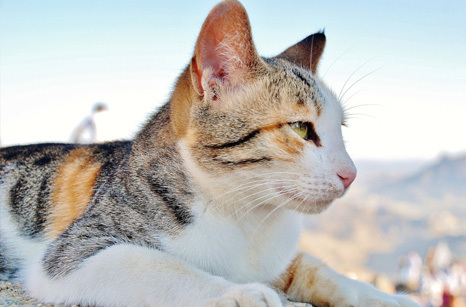 When we talk about chronic kidney disease, it’s a very common disorder in cats, especially those that are older than age 5. Renal (kidney) insufficiency or renal failure occurs when the kidneys are no longer able to do their appointed job–to remove waste products from the blood. Renal failure is not the same as not being able to produce urine. In fact, most cats with renal failure make lots of urine in an attempt to remove the waste products that collect in the blood. The kidneys are failing but the cat makes a huge volume of urine… this can be confusing to pet owners! Let’s switch gears and talk about urinary stones. Dogs or cats with very small stones in the urinary system do not usually have any signs. They look and act the same as usual. However, if these stones become larger, and are not detected and monitored, they can move into other areas of the urinary system that may cause obstruction. Obstruction is an emergency that puts your pet’s health at serious risk. The best way to keep your pet’s kidney and urinary tract health in tiptop shape is through preventive healthcare. Schedule your pet’s yearly checkup today so we can examine your pet from nose to tail, run any tests if needed and discuss all the concerns you may have. We care about your pet so call us today. We promise, we will leave no stone unturned. © 2019 Wetaskiwin Animal Clinic.